An elegant walk-in closet design with beautiful dark wood wardrobes that’s flawlessly organized with a chic clothing collection. 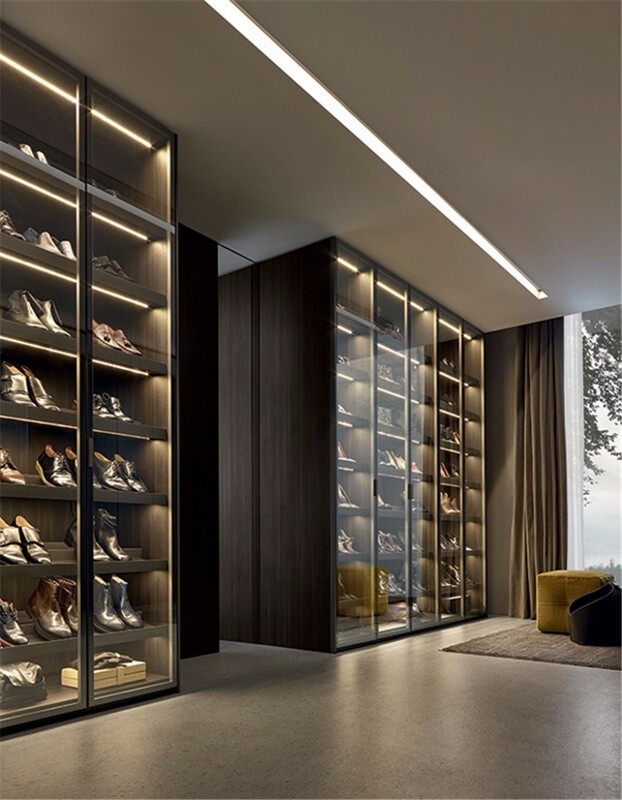 Another walk in closet design in black and white with elegant modern lines. Charming walk-in closet design with salmon tones and a gorgeous chair with a fur coating that looks absolutely delightful. 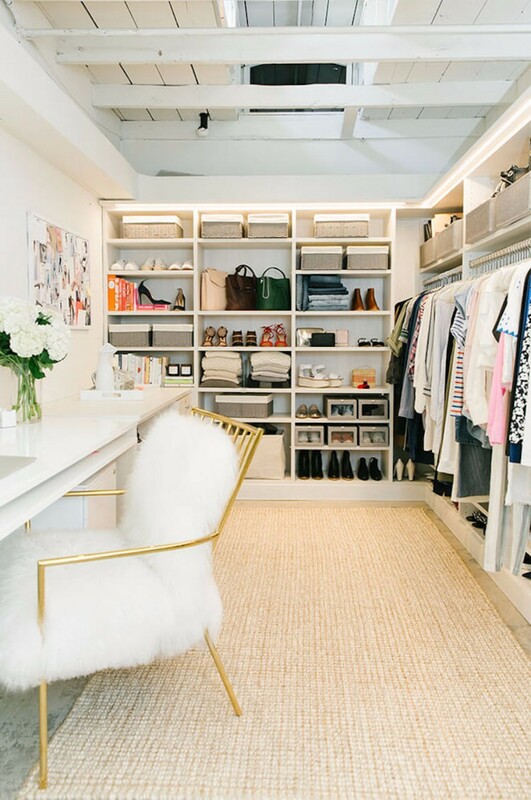 Not a single trace of clothing excluding the shoes on this marvelous white walk-in closet design. A colorful clothing collection, color organized under white and cream tones. Gorgeous walk-in closet with a beautiful rug and a fierce bench. Charming golden shoe collection that matches with the legs of this magnificent chair. 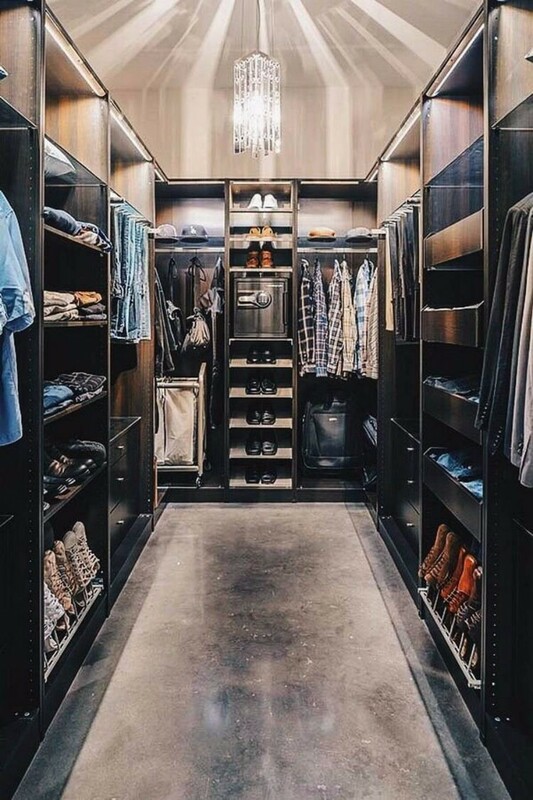 Sleek walk-in closet design in gray with a contemporary rug and hardwood floor. Modern walk-in closet with a beautiful black and white chair design. A gorgeous blue walk-in closet with a fine labyrinthic carpet. 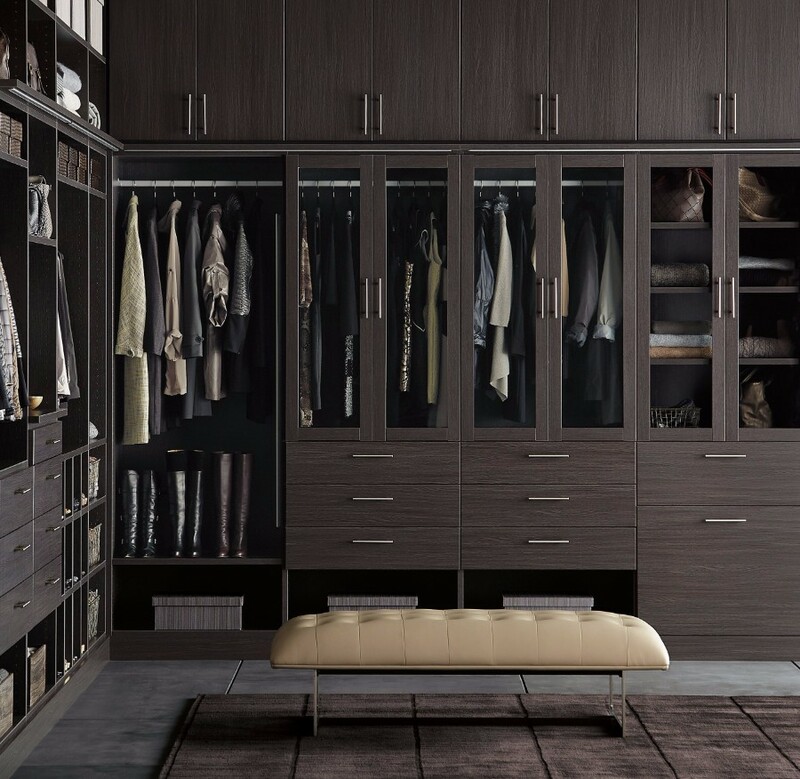 A pair of dark walk-in closets with gray and brown tones and a men’s shoe collection. 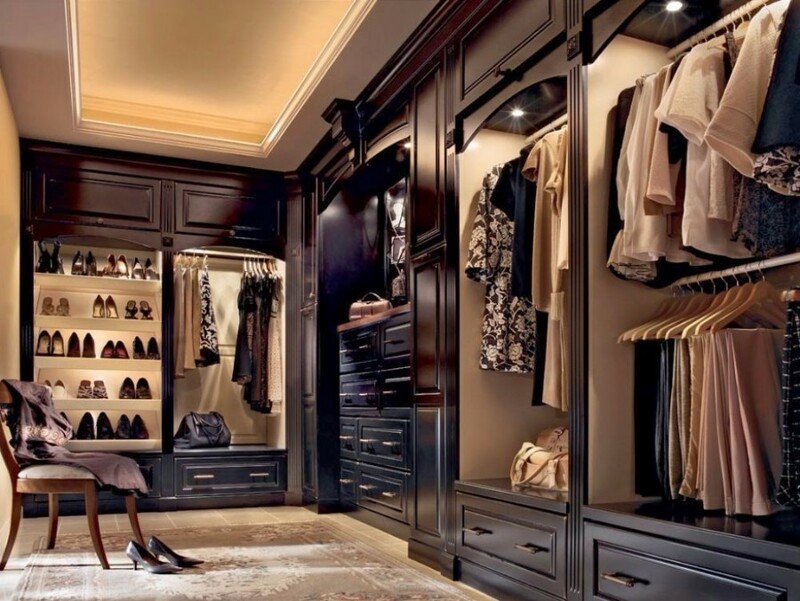 Let’s end with this charming walk-in closet design that’s both luxurious and sleek. 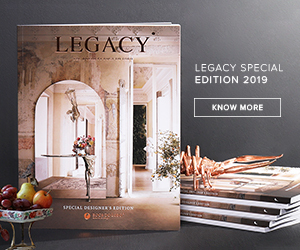 If you enjoyed our collection of walk-in closets, we invite you to find more inspiration on the articles below, and there’s plenty to see there!